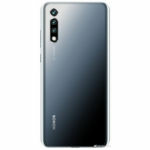 According to a leak, Huawei will be launching the Huawei P Smart 2019 smartphone in Europe at a price tag of €199. The device is rumored to launch with the Kirin 710 SoC in January 2019. Huawei, a well-known Chinese smartphone manufacturer is not only known for launching high-end devices like the Mate 20 and Mate 20 Pro, but the company also tailors to a wide audience and certainly hasn’t forgotten about the demand for budget-oriented devices. Huawei is back with yet another affordable smartphone, the Huawei P Smart 2019. 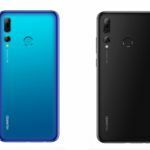 The Huawei P Smart 2019 is the successor to the Huawei P Smart device which was launched last year in December. Courtesy of a source at FunkyHuawei.club, who leaked the news to XDA, we now have a few details on the Huawei P Smart 2019 smartphone and that it will be launching in Europe early next year. 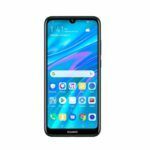 The Huawei P Smart 2019 is a budget smartphone which is geared keeping a specific market segment in mind. 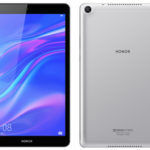 The device will allegedly launch in the European market in January 2019. Well, there’s a good chance that in time, the smartphone will be available in the US as well. This is precisely what happened to the Huawei P Smart device which was later released in the U.S market as the Honor 9 Lite. As of now, there’s no news on where and the exact date on which the smartphone will launch. However, there’s quite a bit revealed about the details of the smartphone, including its design as well as hardware specifications. The device will launch with one of the latest HiSilicon chips, the Kirin 710 SoC. 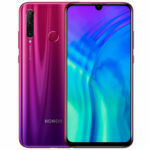 The Kirin 710 SoC made its debut with the Huawei Nova 3i and will now power the Huawei P Smart 2019 phone. Although, the Kirin 710 is a mid-range CPU with a total of eight cores, it still performs very well. For comparison, the Kirin 710 offers performance between that of the Kirin 960 and the Kirin 970. This isn’t shabby at all considering the fact that Huawei used the Kirin 970 for its Mate 10 series of smartphones. The Kirin 710 almost directly competes with Snapdragon chips like the Snapdragon 636 and 660 SoC. 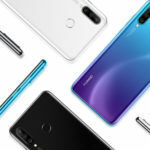 So, what lies under the hood of the Huawei P Smart 2019 device? According to the source, the device will be equipped with 3GB RAM and 64GB internal storage. This configuration has become an extremely popular one for most budget devices in 2018. In all likelihood, the smartphone will be later released in other memory and storage variants just like the Huawei P Smart did. It would definitely be nice to have a 4GB RAM variant since 4GB RAM is basically one of the most adequate configurations for RAM on a smartphone in this day and age. In terms of its imaging, the device will allegedly arrive with a dual-rear camera setup and a single front-facing camera. Rumor has it that the Huawei P Smart 2019 will also feature a teardrop notch, just like that seen on the Huawei Mate 20. One downside to the smartphone is the lack of a USB Type-C port as Huawei is sticking to a micro USB port for its smartphone. The phone will have an IPS LCD and surprisingly even a metal unibody with glass at the front and the back. It comes as a surprise since it is mainly seen on higher-end smartphones. The Huawei P Smart 2019 smartphone is expected to launch at a starting price of €199.